This post is about proving you can’t get or keep a substantially gainful occupation due to your service connected disabilities or, in other words, proving an element of a VA TDIU claim. Before we get to that though, VA TDIU claims (aka, claims by a veteran for individual unemployability) are going to be a big topic for the next few weeks on the Veterans Law Blog®, for two reasons. First, the law is changing very quickly in this area. Some of it is really good for veterans, and some of it is a little horrifying. 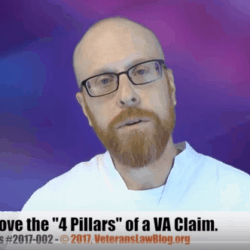 Second, we will talk a lot about veteran claims for individual unemployability because we are about to release a massive resource for veterans filing a VA TDIU claim or appeal. At the bottom of the post is a form where you can sign up to be among the first to know about this new resource coming in April 2019. In this post, we’re talking again today about VA individual unemployability, or TDIU. 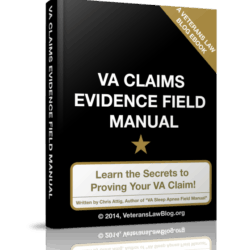 Well, if you are trying to win a VA TDIU claim or appeal, you should care. Because the Veterans Court, after nearly 3 decades of deferring to the Agency to make the first definition of the term “substantially gainful occupation,” just went ahead and defined it for them. Why is the term substantially gainful occupation important in the context of a VA claim for individual unemployability? A qualifying veteran who is unable to secure and follow substantially gainful occupation because of his or her service-connected disabilities is entitled to a 100% rating. Now, I’m not going to teach you in this post what a qualifying veteran is, in the context of TDIU. You can learn that elsewhere on the Veterans Law Blog®. What I hope to teach you in this post is how to understand and prove the term “substantially gainful occupation” in the context of a VA TDIU claim. So in March 2019, the Veterans Court issued a panel decision – meaning it is binding law unless the Secretary appeals – in a case known as Ray v. Wilkie, Cause #17-0781 at the U.S. Court of Appeals for Veterans Claims. You can click here to see it in the Court’s docket. The problem is that nobody has any clue what the phrase “substantially gainful occupation” means. This has been an ongoing problem for nearly three decades, as I discussed in this post (click here to read an older post on this topic). How do you – fairly – decide whether or not a person has proved the elements of a claim for a benefit if nobody knows what those elements are. That’d be like a baseball game where the runner is always safe if the runner touches the space that the umpire feels is safe. Aside from being absolutely unfair, it allows the umpire (or in our case, the BVA Veterans Law Judge) to pick and choose who is or isn’t safe, and control the outcome of the game. In the Ray case they have told us what the term “substantially gainful occupation” means. Now, I don’t intend to show you how the sausage was made. The Court took nearly 11 pages to reason its way to the definition it choose, and all but the nerdiest veterans advocates (I think that might be me) have no interest in it. If you are a Veterans Law Nerd, you should click here and read not just the opinion, but the Court’s concurring opinion. It makes for some fascinating reading, particularly when you think about the dialog that occurred in the Court to reach this decision. Instead, I’d like to teach you how to cook your own brats and kielbasa. Failing metaphors aside, I want you to know how the Court said to prove “substantially gainful occupation” in VA TDIU claim or appeal. Grab your pencils folks, here we go. The Definition of Substantially Gainful Occupation in a VA TDIU Claim. The Court said that the term “Substantially Gainful Occupation” has two components, an economic component and a non-economic component. That’s not much money folks. Here is a chart that shows what that is for 2018. Here are the poverty threshold tables by family size from 1978 – 2018. Bookmark that link if you are trying to prove an older claim for TDIU and need to show that your earnings were below the poverty thresholds in a particular time frame. Now, I want to be very careful here, because this is where myths begin. This is NOT the only way to prove the economic component of “substantially gainful occupation.” If you have “marginal employment” or work in a “protected environment,” then these limitations do not apply to you. And the VA should NOT be counting Social Security disability or retirement earnings as part of this, but I’m increasingly hearing that they are doing this. If they do that to you, get in touch with a VA TDIU Lawyer asap. Okay, so once you’ve shown the economic component of “substantially gainful occupation” you have to show a non-economic component. Now, what you have to prove varies based on your situation. Here is a list of factors the Court said that should be considered as part of the non-economic component of “substantially gainful occupation” in a VA TDIU claim. It is NOT a checklist – you do not have to prove each one. whether the veteran has the physical ability (both exertional and nonexertional) to perform the type of activities (e.g., sedentary, light, medium, heavy, or very heavy) required by the occupation at issue. whether the veteran has the mental ability to perform the activities required by the occupation at issue. Additional relevant factors include, but are not limited to, the veteran’s limitations, if any, concerning memory, concentration, ability to adapt to change, handle work place stress, get along with coworkers, and demonstrate reliability and productivity. So how do you prove those things? There are two critical ways to prove the non-economic “substantially gainful occupation” factors: Lay evidence and Expert evidence. A medical expert may or may not be competent to opine on all of those factors, but a Vocational Rehab Expert is competent to render an opinion on one or all of those factors. If you want to meet a Vocational Rehab Expert and learn more about what they do, watch my interview with Patrick Clifford of Clifford Vocational Services by clicking here. (Note: you can even use the form on the website to reach out to Patrick to see if he can help you with an expert opinion in your TDIU claim). And even if you use a Voc Rehab Expert, do not – do NOT – forget to provide lay evidence regarding the frequency, chronicity and severity of as many of the factors as you can. This means statements from family, friends, co-workers, bosses, former bosses – anybody who has first-hand observations of you in – or getting to and from – your work environment. More is coming on this folks – sign up below if you want to be among the first to find out about the massive TDIU resource that is rolling out in April 2019.